This captivating property sits on 10.145 m/l acres. Perfectly nestled only minutes from Holzer Hospital. This house offers everything on your want list and more. Enjoy the luxury of having 2 Master Bedrooms on the main floor with walk in closets and master bathrooms with Jacuzzi tub. Large living room with vaulted ceiling, Beautiful large kitchen with Granite counter top and stainless steel appliances. Upstairs you have 4 large bedrooms and 2 full bathrooms. Finished walk out basement with a large family room, exercise room (that could be an extra bedroom), a nice office and a small workshop room. Enjoy the large back porch with a large above ground pool with a nice deck. 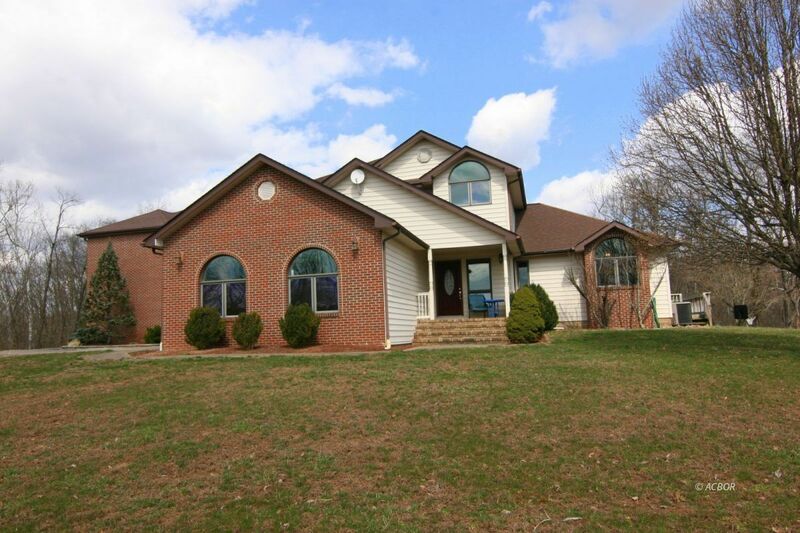 This property also comes with a 2 car garage, large metal pole barn and a deer stand.